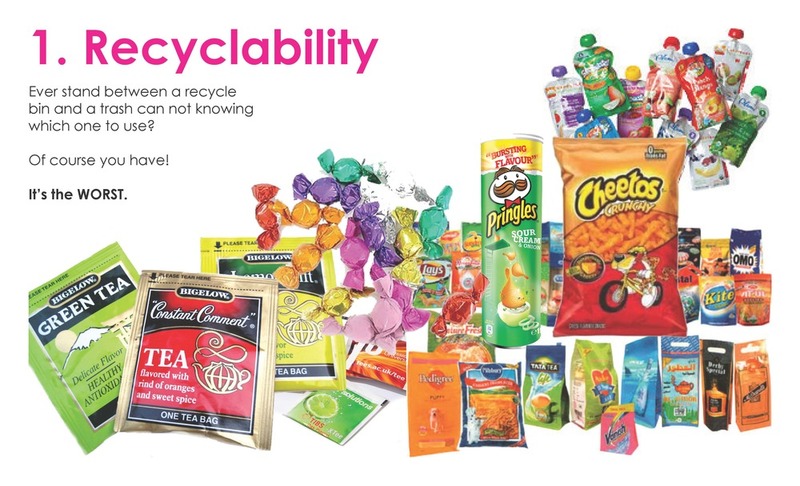 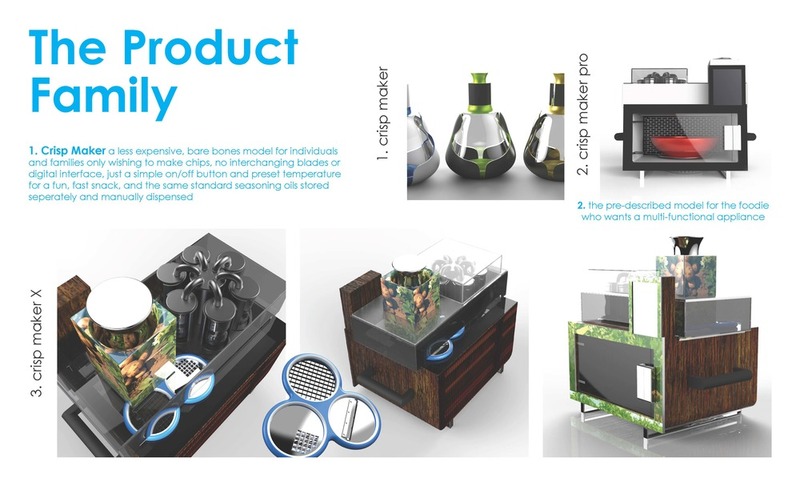 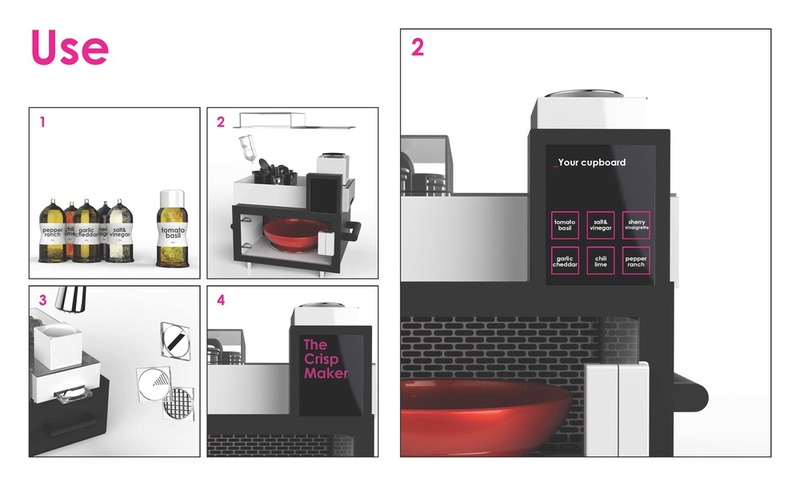 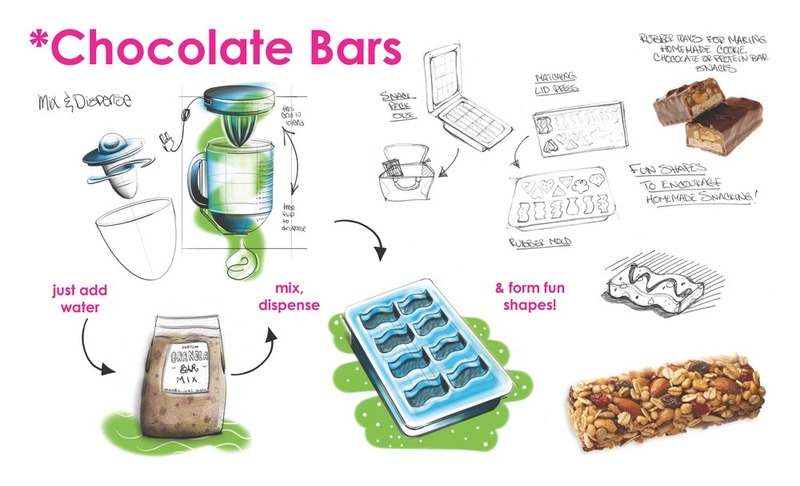 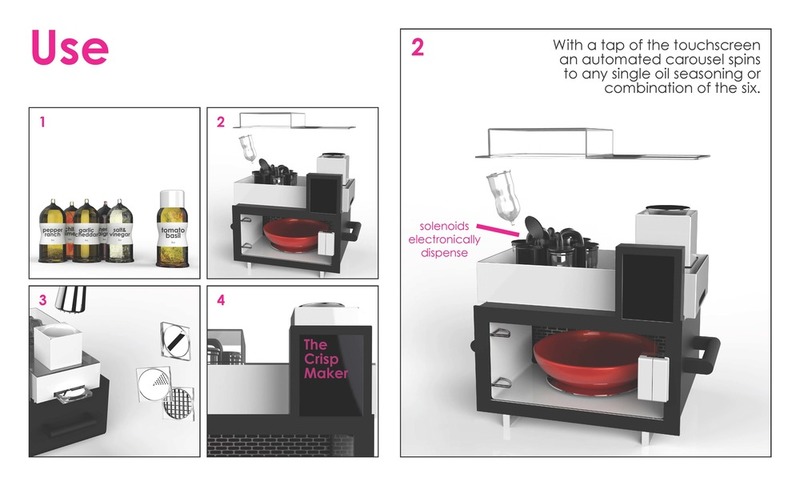 Tackling packaging waste in the snack food industry through the creation of a small, specialty, kitchen appliance for food processing, flavoring, and air-frying snacks at home or in a public space such as a work lounge in place of a vending machine. 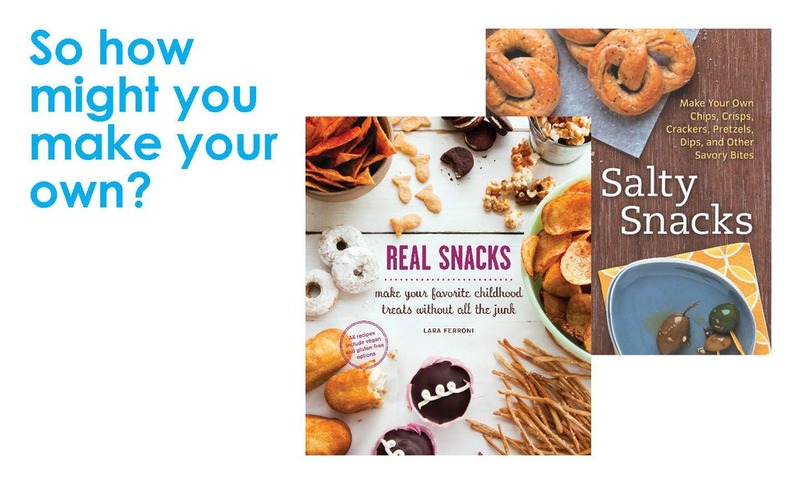 Before deciding on crispy snacks like potato chips, I explored ideas in fruit snacks and snack bars like chocolate or granola. 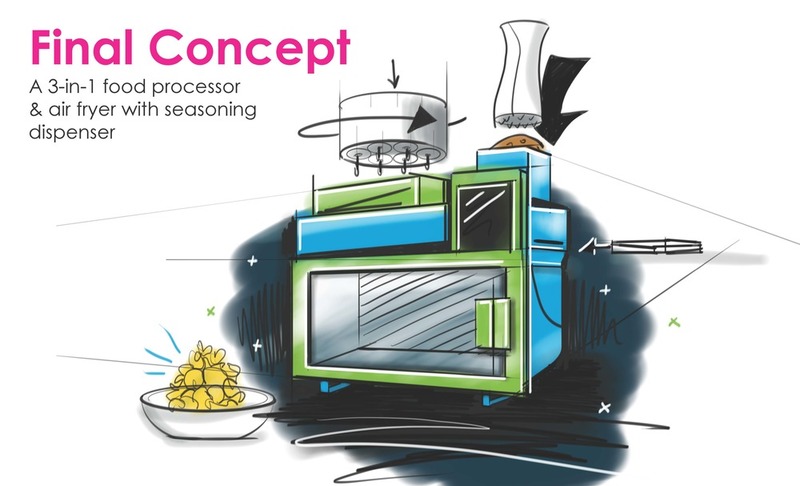 Statistics show that chips are by far the most popular type of snack, so I moved forward with concepting a way of cutting potatoes, frying and flavoring them, easier, more accessible, and healthier. 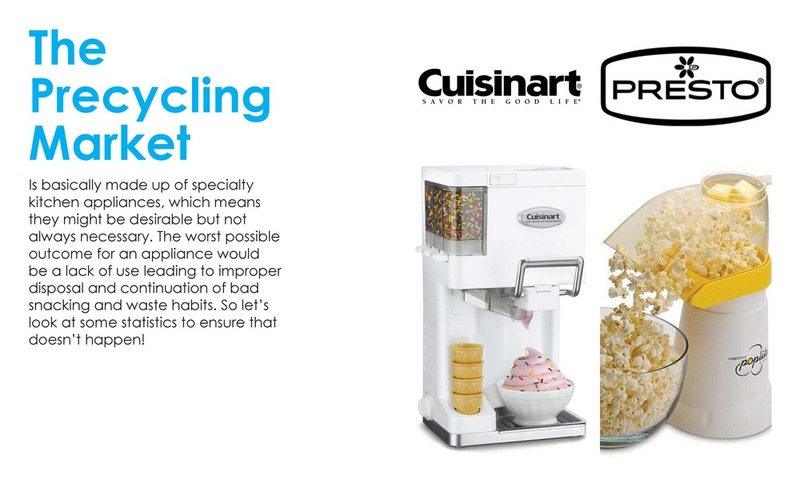 By having a reusable appliance make the snacks at home or in place of a vending machine, the user helps prevent non-recyclable packaging waste from entering landfills, and replaces less healthy, more artificial snack options with clean, whole foods. 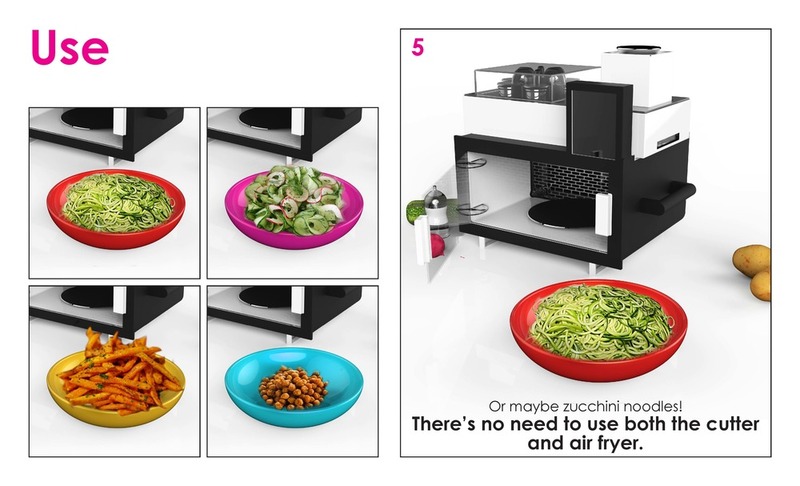 The appliance makes sole use of recyclable materials, and the food is dispensed into either a reusable ceramic bowl or a compostable parchment paper dish. Users can load in flavor dispensers and a fresh potato to make flavored potato chips, or use any of the appliance’s functions separately to spiralize, julienne, or ribbon cut fruits and vegetable, flavor salads, or air fry items like chickpeas or proteins.